Use this Bone Candle Set to create an eerie candle setting for Halloween. Free standing candles in the shape of bones can be used for a variety of party themes. Add some fake blood to make them even more macabre. Use them for a pups birthday party, or give as a gift to your favorite cave man. White wax candles. 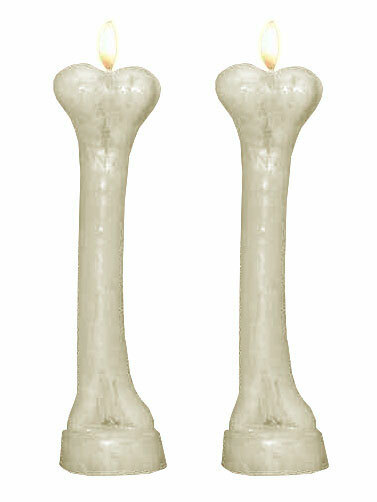 Bone Candle Set measures 8"H. 2 pc.